It is important to stay hydrated. It doesn’t matter where you are or what you are doing, but you should always try to carry a water bottle with you. Water bottles are a great way to bring along a beverage anywhere you go. One brand that always has consistent praise is Hydro Flask. Hydro Flask has become increasingly popular with their smart and eye-catching designs. Hydro Flask offers a variety of designs from water bottles to thermoses and camping mugs or tumblers. They are a company that produce products with top quality to ensure they last throughout a lifetime of use. It can be hard to choose which Hydro Flask design best suits your needs because there are so many out there and you can’t ever choose a poor design. Our guide helps break down the different Hydro Flask designs and their features, so you can find a design that suits your needs. This Hydro Flask design has an easy access, wide mouth opening. Its sleek design holds the same volume of liquid as other leading water bottle brands. This design had safety put at the top as the bottle is made of non-toxic BPA-free plastic and 18/8 food-grade stainless steel. It has a slip-free grip thanks to the powder coating. The TempShield insulation keeps your drinks cold or hot for hours. This bottle is just the right size and can meet your everyday hydration needs. The wide mouth is also great for any backpacking adventure where you need to use backpacking water filters. The straw lid allows you to easily sip your beverage and the wide mouth allows you to easily load it up with ice cubes. You can easily tote this water bottle with the handy finger loop or clip it to your favorite bag. This Hydro Flask design has a sleek and narrow look. It is ideal for sipping your beverages and easy carry but can still accommodate the addition of ice cubes. It has non-toxic BPA-free plastics and 18/8 food grade stainless steel. You can personalize your color with the unique powder coating, that also ensures it has a slip-free grip. This narrow bottle can fit easily in your hand or any car or bicycle cup holders. It will keep your drinks cold or hot for hours. It has a flexible strap with stainless steel pivots to help the cap move when you do. This Hydro Flask is a more robust design that holds 18 ounces of your favorite drink. The wide mouth opening allows you to easily add ice cubes or use a water filter on the trail. It is made of non-toxic BPA-free plastics and 18/8 food grade stainless steel. 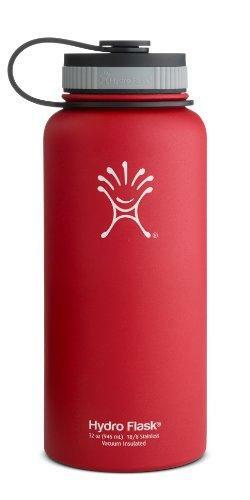 The powder coating on the outside makes the Hydro Flask color and gives it a slip-free grip. It also prevents condensation from forming. This bottle can easily fit in your hand or a cup holder. It is just the right size to take to the office or on the trail. It has a flexible handle lid that has stainless steel pivots to help the cap move when you do to make carrying it easier. This design is a perfect Hydro Flask Coffee Travel Mug that you can take to work, school, or the trails. It has a wide mouth design and is made out of non-toxic BPA-free plastics with 18/8 food grade stainless steel. The powder coating offers a slip-free grip and helps give more protection to your beverage. The variety of sizes of Hydro Flasks in this design are offered from 12 ounces, 16 ounces, or 20 ounces. It has the Hydro Flip lid, which makes it easy to sip your beverage on the go. The lid isn’t leakproof but offers protection against spills. This Hydro Flask comes in a perfect 21 ounce size that is ideal for sipping and accommodating ice cubes. It has a narrower design and is ideal for travel. It is made of non-toxic BPA-free plastics and 18/8 food grade stainless steel. Like all other Hydro Flask designs, it has the powder coating, which gives it a slip-free grip. It can easily meet your everyday hydration needs. This bottle is also perfect for one-handed refreshment thanks to the Standard Mouth Insulated Sport Cap. You can easily pop it open on the fly and take a sip. This Hydro Flask is the perfect size for kids! It can hold 12 ounces and has all the same properties as a full sized Hydro Flask. It is made of non-toxic BPA-free plastics and 18/8 food grade stainless steel. It has the powder coating, which gives it a slip-free grip for clumsy hands. It is safe for all and will maintain the beverage temperature. Keep in mind, you should not put hot drinks in this. The Kids designs are meant to hold temperature safe beverages for your kids. It has a Straw Lid that is easy to clean and a durable Flex Boot to protect the bottom. This is one of the sizes of Hydro Flask that is larger. 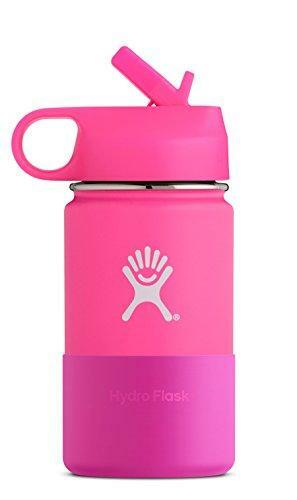 It still has the non-toxic BPA-free plastics and 18/8 food grade steel but can hold up to 32 ounces of your favorite beverage. It has the same powder coated finished that is slip-free. The wide mouth design has a secure lid, to ensure you won’t ever lose it. This is a smaller sized Hydro Flask that is perfect for kids or adults. It has the same properties of non-toxic BPA-free plastics and 18/8 food grade stainless steel like all other Hydro Flask designs. It has the same powder coating and slip-free grip too. The smaller sizes makes it easy to carry and travel with. Hydro Flask is a high-quality company, so you really can’t go wrong with any of their designs. They strongly believe that their combination of temperature, taste, and transport makes their designs the best. However, that doesn’t mean that any design will suit your needs and keep you hydrated, as well as happy. You should consider a few key features of different Hydro Flask designs that can help you determine, which one would best suit your needs. There are a few different styles, designs, and capacities for you to choose from. There a lot of different sizes of Hydro Flasks and it will ultimately be determined by the volume that the Hydro Flask can hold. Hydro Flask water bottles come in a variety of different volumes. You can purchase smaller sizes for children or extra-large sizes for longer durations. They have water bottles available in 12 ounces up to 64 ounces. They even offer a 128 ounce option, which is the biggest Hydro Flask offered. However, the most common sizes are the 21 and 25 ounce bottles. The great part about Hydro Flasks is just how versatile their designs are. Hydro Flask has a large variety of designs. There are water bottles, tumblers, coffee mugs, beer and wine bottles, as well as food storage. You really aren’t sacrificing quality or any design or style that you choose to invest in because Hydro Flask ensures all their products live up to the company’s high standards. The only different is how you will use your Hydro Flask and what you plan to put in it. 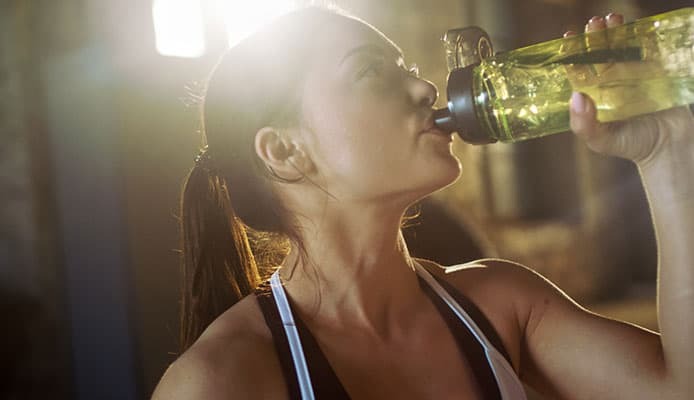 The most versatile designs are the water bottles and tumblers because they can be used to carry both hot and cold drinks. Other designs are more specific to a certain beverage like coffee, beer, or wine. If you are looking for a great everyday carry, we suggest that you choose between a water bottle and a tumbler design. These two designs differ in the lid construction and have a slightly different body, but both allow you to easily switch between hot and cold beverages. However, a top rated Hydro Flask can really be used for anything. Most of their designs are spill proof and others, like their water bottles, have a fully spill proof design. They can hold hot or cold beverages and are easy to take along any trip from all types of camping, hiking, or urban adventures. You can easily take this water bottle kayaking, boating, and backpacking. It is perfect for all your outdoor needs and can be easily added to your camping gear, kayaking gear, and backpacking checklist. Hydro Flasks can be used for the rugged outdoors or just a day at the office. The best Hydro Flask will ensure that you are always hydrated, no matter where you are. The weight of your Hydro Flask will depend on the type that you choose to buy and the volume that it can hold. The smaller the volume, the lighter the Hydro Flask will be. Don’t forget that your Hydro Flask will gain weight as you fill it and even 12 ounces of liquid can make for a surprisingly heavy Hydro Flask. However, it’s important to stay hydrated and you can’t control the weight of your Hydro Flask. If you want to save on weight, invest in a smaller volume. Just keep in mind that it can be annoying to have a smaller volume because you are constantly needing to refill it. The weight of your Hydro Flask may be worth having a slightly heavier design, so that it will last you longer throughout the day. All Hydro Flask designs feature their double wall vacuum insulation called TempShield. TempShield is a system that guards the temperature of your drink. No matter if it is hot or cold. The insulation protects your drinks from the outside elements and ensures that your beverage is cold for up to 24 hours or hot for up to 6 hours. All of their products are made of 18/8 pro-grade stainless steel and are finished with a unique powder coat that is lightweight, slim, anti-slip, and anti-sweat. The powder coat gives a variety of option for your Hydro Flask color, which can make it more personal for you. As well, the stainless steel and powder coat also work alongside with TempShield to insulate your beverages. Hydro Flask ensures that their products are made of high-quality materials. They use 18/8 pro-grade stainless steel that is strong and tasteless. The outside of all of their designs have a unique powder coating that help give the pieces their durability. It is important that a Hydro Flask is durable, so that you can take it with you everywhere you go. You don’t want to drop your Hydro Flask often, but a few bumps shouldn’t warrant your product unusable. Hydro Flasks are made to be not only durable, but strong enough to last you for multiple years of use on multiple trips. A Hydro Flask is an investment that will last you a long time, so you can stay happy sipping your beverages. Q: Why choose Hydro Flask over other brands? A: Hydro Flask offers a great value for what you buy. Often you hear, “You get what you pay for” and with Hydro Flask that is entirely true. Buying a Hydro Flask is an investment. There are a lot of other double walled vacuum insulated designs on the market that are actually less expensive. With Hydro Flask, they offer the best high-quality product that holds up to its branding. 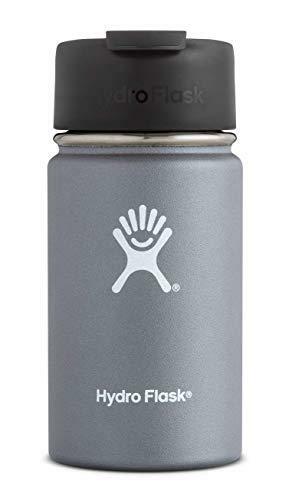 Hydro Flask reviews consistently give this brand high marks and state that their products really do as you’re told: keep cold drinks cold and hot drinks hot. For long periods of time too. On the flip side, you can actually find products that are even more expensive than Hydro Flask but offer the same branding. The difference between Hydro Flask and other companies is that they don’t tend to overcharge for larger volumes. Other brands tend to drastically overcharge for their products as the amount of volume goes up. Rather, Hydro Flask wants to offer a high quality product that is still relatively affordable even if you need a larger size. Q: Can I use my Hydro Flask for soup, besides water and coffee? A: Yes. Technically, you can use your Hydro Flask for anything. The 18/8 pro-grade stainless steel ensures that no taste is ever trapped and left over in your Hydro Flask. If you wanted, you could put soup in their water bottle design. However, Hydro Flask does offer food storage designs that may better suit your needs if you want to travel with soup. If you don’t mind washing your Hydro Flask between uses, you can save money by using your Hydro Flask for anything. You can easily turn your Hydro Flask coffee cup into a soup cup because their design will keep anything hot or cold for long hours. Q: How to clean my Hydro Flask? A: Before the first use of your Hydro Flask, switching between drinks, and when you are done using your Hydro Flask for the day, it is good to get in the habit of cleaning it. Your Hydro Flask can be hand-washed with hot, soapy water. You can use a sponge, or Hydro Flask sells their own cleaning brush designs for bottles and straw caps. Hydro Flasks can’t be placed in a dishwasher or soaked in hot water for long periods of time because it can damage the outside powder coating. The dishwashing can also affect the insulation of your Hydro Flask and weaken its properties. As well, extreme temperatures like being placed in the freezer or above the stove can damage your Hydro Flask and its insulation properties. If you want to use a natural cleaner, you can use distilled vinegar or baking soda to clean and remove any stains. You should never use bleach or chlorine to clean your Hydro Flask because it will cause the stainless steel to rust. If you want your Hydro Flask to last forever and preserve your drinks to the best of its ability, you should always hand-wash. It is a good habit to clean your Hydro Flask frequently and allow it to fully air dry before re-sealing it. With a top rated Hydro Flask, you can take your beverage anywhere and everywhere. A Hydro Flask can become a constant companion that you rely on and add to your adventure or camping checklist. They are great products that stand by their branding and offer the best in double walled vacuum insulation. The best Hydro Flask will last you throughout the years on every journey. If you haven’t found quite what you are looking for, check out our other lists of water bottles, thermoses, and camping mugs. Do you own one of the Hydro Flasks that made it onto our list? Let us know how it has worked for your beverage needs in the comments section below.